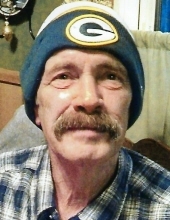 Craig J. Mattke, 66, Plymouth, passed away peacefully on Wednesday, Feb. 7, 2018, in the South Bend Hospice House, following a brief illness. He was born on July 1, 1951, in Rhineland, Wisc. to Harold L. and Viola M. (McManus) Mattke. On Sept. 27, 1970, she married the former Teresa L. “Terri” Carter, their wedding was officiated by James Yeazel in Plymouth. The Mattke’s had their vows blessed on their fifth wedding anniversary at St. Michael Catholic Church. Terri precedes Craig in passing on June 27, 2014. Those left to cherish is memory are his three daughters: Kimberly Mattke of Plymouth; Katina Mattke of Plymouth; Trisha Mattke and her fiancé Nate Cowen of Plymouth; his son, Matthew and Jamie Mattke of Plymouth; also surviving are 14 grandchildren and 5 great grandchildren; four brothers: Mark H. and Barbara Mattke of Sparta, Wisc. ; Perry G. Mattke of Plymouth; Shawn A. and Melanie Mattke of Bremen; Blaine J. Mattke of Plymouth; two sisters: Laurette L. Greene of Bremen; and Jill A. Miller of South Bend. He is preceded in passing by his parents, his wife, Terri of 43 years, twin grandchildren, Kaden and Clayton. The Van Gilder Funeral Home is caring for the Mattke family. A funeral will be held at 4 p.m. Sunday, Feb. 11, in the Van Gilder Funeral Home, 300 West Madison Street Plymouth, IN 46563, with Pastor Lowell Ott officiating. Burial will take place a later date in the New Oak Hill Cemetery. A time of visiting with the Mattke family will be from 2-4 p.m. Sunday, Feb. 11, in the Van Gilder Funeral Home. The Mattke family requests memorial contributions be given to The Center for Hospice and Palliative Care, 113 S. Center Street Plymouth, Indiana 46563.